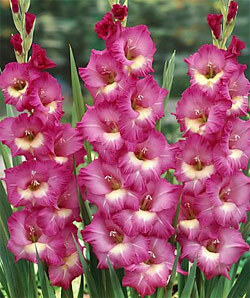 Wind Song gladiolus is a soft medium lavender, blending to a large white throat. Florets are round, recurved of heavy substance and arranged in a crisply tailored form. A true garden grower.